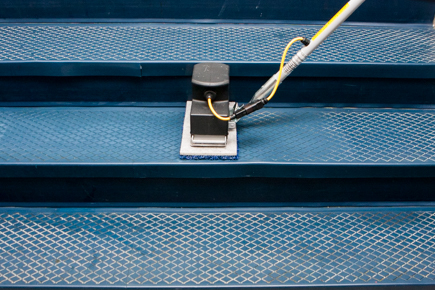 Tomcat NANO EDGE® Orbital Scrubber Can Revolutionize Stairwell Cleaning! 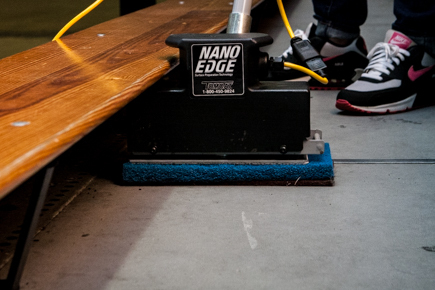 The NANO EDGE® machine can even be used on your bleachers for getting in the overhangs that are typically very hard to reach by hand. 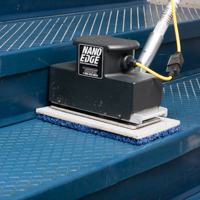 Tomcat's NANO EDGE® machines gives operators the ability to remove multiple layers of finish, without using chemicals, clean grout lines without breaking a sweat, and clean stairwells with ease, or any other small area application that walk-behind scrubbers can not access due to size. 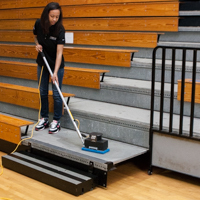 In these images you can see many of the different applications of the Tomcat NANO EDGE® Orbital Floor Scrubber: from cleaning restrooms, to removing dirt in stairwells, to even gymnasiums. 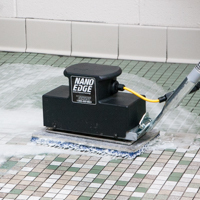 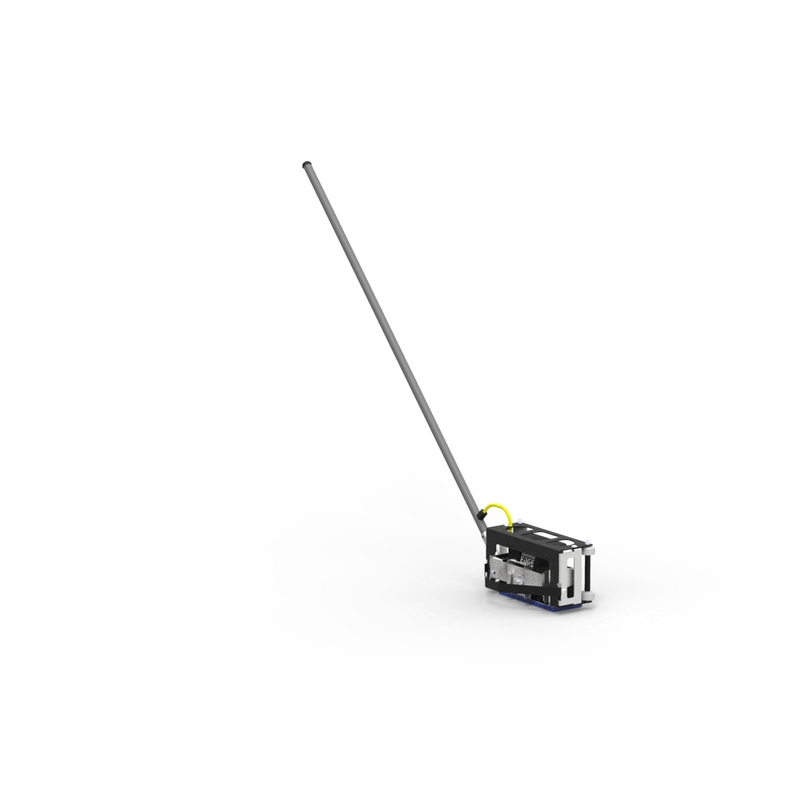 The NANO EDGE Orbital Floor Scrubber is always up for the task.